Louisa head football coach Will Patrick pondered that very idea on Wednesday morning at the latest celebrations for one of the Lions and the area’s most decorated players in history, linebacker Brandon Smith. Due to its success on the gridiron over the years, the Louisa program has plenty of cache around the state of Virginia, but thanks to Smith, football fans from around the country are about to get an introduction to what the small county nestled between Charlottesville and Richmond has to offer. 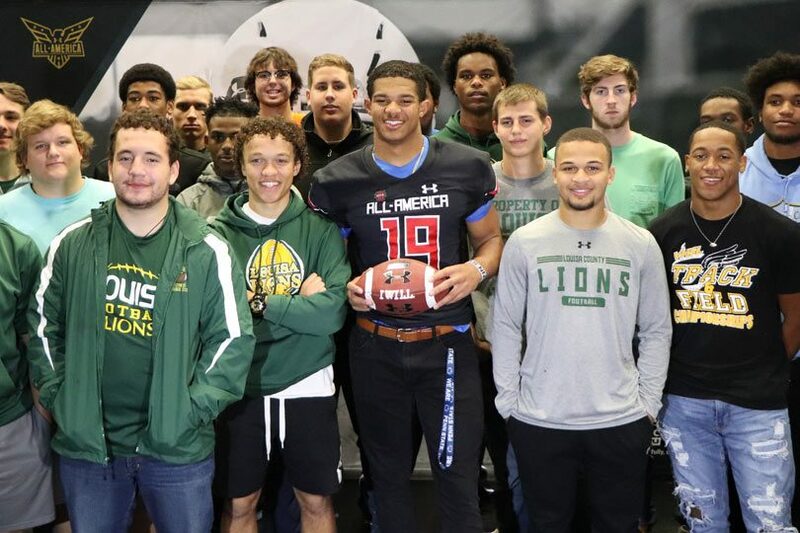 In a crowded auditorium, and surrounded by his family, teammates, and friends, Smith accepted his ceremonial jersey for the 2019 Under Armour All-American Football Game. The High School All-Star showcase event will take place in Orlando Florida on January 3, 2019, and will be televised on ESPN 2. “Being from where I’m at, nobody knows where [Louisa] is probably, and just showing that, ‘Hey’, somebody from a small town can really make a change to the game,” said Smith of his excitement of to represent his home town in front of a nationwide audience. Wednesday’s ceremony featured opening remarks by Under Armour representatives and Louisa officials, before Smith donned the official UA All-American Jersey for the first time to great fanfare. Smith is one of just a handful of Central Virginia picks for the Under Armour All-American Game, joining Christian Hackenberg who earned a jersey back in 2012. Former Woodberry Forest linebacker Doug Randolph and the Tigers’ offensive lineman Clark Yarbrough earned an invite to partake in the US Army All-American Game back in 2013 and 2015 respectively. Louisa has also already produced an NFL player in current New York Giant Kerry Wynn, but Wynn was lightly-recruited at the Division I level and went to Richmond before signing with the Giants as an undrafted free agent. 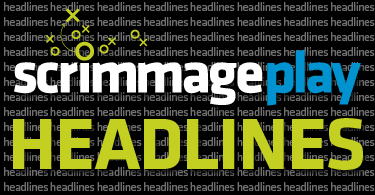 Smith, a 6-foot-3, 219-pound outside linebacker, held offers from some of the nation’s top programs, including Alabama, Auburn, Clemson Michigan, Notre Dame, and Ohio State among many others, before verbally committing to Penn State last spring. Since pledging to Penn State, Smith has been actively recruiting fellow elite Virginia High School football standouts to join him in Happy Valley, including five-star running back Devyn Ford. Ford is one of several Penn State teammates that will be joining Smith in Orlando for the Under Armour Game in January. The nationally-televised affair will officially mark the end of Smith’s storied career at the high school level and the beginning of his collegiate journey. Smith’s college experience will begin much sooner than usual, as the blue chip linebacker will graduate from Louisa in December, before enrolling at Penn State for the spring semester. The early-enrollment will allow Smith to participate in the Nitnay Lions’ spring practice, and he feels that the Under Armour Game will be the perfect springboard to what awaits him in Happy Valley. 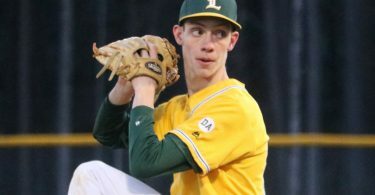 Before all of the excitement surrounding high school all-star game and what awaits him at the next level, Smith still has unfinished business at Louisa. Smith and the undefeated Lions will begin their quest to return to the 4A State Championship Game on Friday against Huguenot in the Jungle.